Sandals Guest House is situated in picturesque and tranquil St Francis Bay, along a beautiful stretch of Eastern Cape coastline. Just 150-metres from the beach, Sandals is well placed for the area’s attractions of sand boarding, surfing, yachting, kayaking and fishing. Canal and river trips are highlights in St Francis Bay. 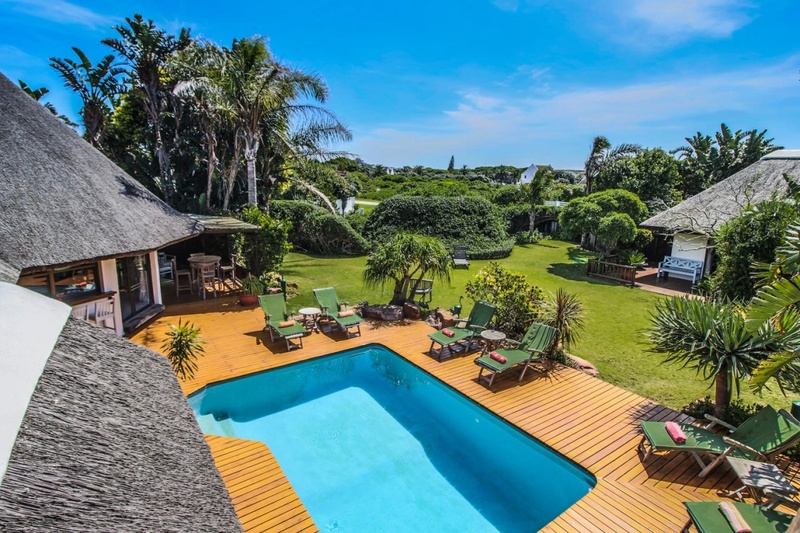 The palm-fringed, thatched four-star guest house is set in a lush garden where guests can enjoy the swimming pool, pool bar and leisure decks. Decor is cheerfully earthy, setting a vibrant mood for a holiday or conference stay. Families are welcome and catered for in triple and family rooms. There's currently no specials at Sandals Guest House. Sandals Guest House has facilities for small conferences and executive meetings, and has full membership of St Francis Links in order that golf can be enjoyed by conference groups.